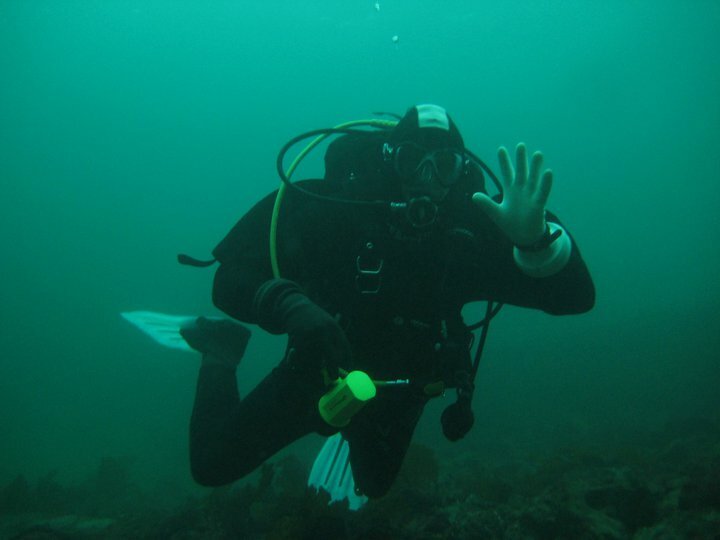 This is a page about my recommendations in buying used scuba diving equipment. What I generally consider to be reusable and what one should typically avoid. Yes there are always exceptions! These are just guidelines that I hope will help you make informed decisions. If you are buying used gear make sure it gets serviced at a shop "certified" for that brand of gear. Ask questions! It's a life support system and its your life! Tanks can be totally rotten inside but appear new on the outside. I would highly recommend getting a visual inspection done even if the seller claims it's already been done. The inspection includes an air fill and doesn't cost much anyway! Also note that tanks need a yearly visual inspection as well as a Hydro static inspection every 5 years. Respectively tanks will have a sticker for the one and the other stamped right into the tank. Take note of these dates, as without the inspections the deal may not be as good as you think! there were several bad batches made. Dive shops have lists of these bad tanks through serial numbers and will not fill them or certify them (provided they are reputable of course). Next up are regulators and octos, there are lots of good deals out there but again it is what you cannot see that can cost you. We refer to this piece of gear as a "life support system" and make no mistake, that is what it is! If we care about ourselves, the regulators are going straight to a dive shop that has trained and certified personnel for an inspection and a maintenance overhaul. Still if you do your homework and the price is right, it is worth it providing you get them all checked out. Honestly you can get them for about the half price even after inspection and overhaul maintenance costs. If it needs a zipper it is automatically going to cost another $500 or more right off the bat. Wrist and neck seals can also be pricey, regardless of construction material. So I would make sure of a few things before any money changes hands. 1. The suit has to have a functioning zipper, and it has to fit properly "while wearing your insulating layer". 2. Neck and wrist seals should fit and not leak, and there should be no leaks evident whatsoever, period! 3. The two valves, one for intake, and the other for exhaust, should work correctly. So the only way you should buy a used dry suit is to try it before you buy it! Otherwise walk away! These are the things I like to buy! With lots of scuba accessories you can see immediately if it is functional or not and usually the prices are quite reasonable. Knives, fins, masks, equipment bags, hoods, ... there is lots out there. Websites for used merchandise are everywhere and I find scuba divers to be an honest bunch when it comes to buying and selling. I should also mention that electronics can also be a buyer beware. Certainly "try" the computer before you buy it, but who really knows. Chances are if you can try the item and it functions properly, then it is probably worth the chance providing the used price is good. You can download manuals for electronics as well which is very useful. Again, do your home work, the internet is a wonderful tool. Well thanks for reading and I hope you enjoyed it. If you have any comments or wish to share a story please follow this link to either my contact page, or my Share Your V.I. Story page.